When it comes to going for a top swim in a city, legendary beaches like Copacabana in Rio or Bondi in Sydney might spring to mind. But actually, it’s another capital that is taking all the plaudits. 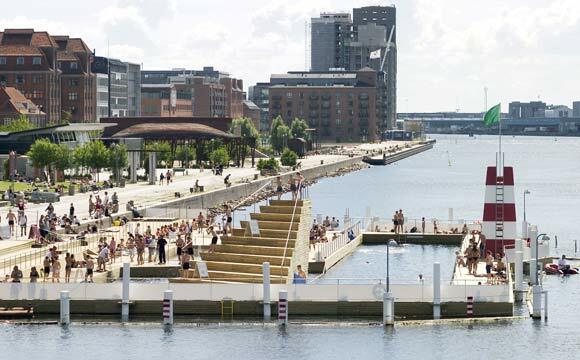 According to CNN, Copenhagen is the world’s best city when it comes to swimming thanks to its urban beaches and waterfront swimming areas in the harbour. “A city surrounded by water, Copenhagen is a joy for swimmers, especially as midsummer looms and winter becomes a distant memory. Amager Beach Park is an ideal sandy spot for whiling away an afternoon. It’s a 2km artificial island that creates a calm lagoon perfect for a paddle,” it enthused. Zurich came in second behind the Danish capital, followed by London, Hong Kong and Vancouver. Sydney, Lisbon, Paris, New York, Berlin, Stockholm and Rio rounded up the top 12. Tourism organisation Wonderful Copenhagen was pleased with the ranking and contended that having access to clean bathing water in the middle of the city was a top draw for tourists. “It’s a good piece for our marketing of the city and it will naturally boost our position as a city with a maritime and sustainable profile,” Tine Kastrup-Misiri, the head of communications for Wonderful Copenhagen, told TV2 News. It will probably get even better for Copenhagen in the future following the news that the city is looking likely to move ahead with the proposed new beach area at Valbyparken. It is expected to be completed by 2021. See the CNN ranking here.